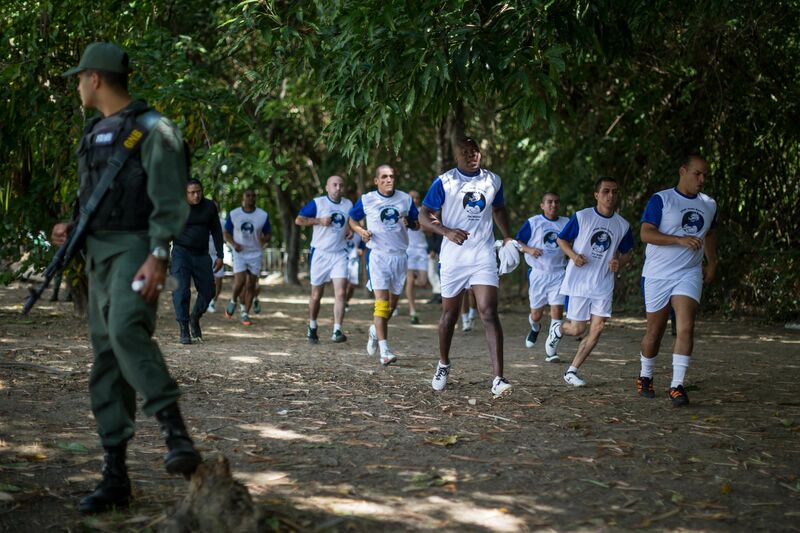 Some 400 inmates from all around Venezuela left their cells over the weekend to play rugby in a tourney whose championship final was played at Hacienda Santa Teresa in the north-central part of the country, a rare opportunity to run around in the fresh air, see their families and just be athletes. "This is the second time we've been here to take part in this greatly appreciated event - it fills us with happiness and we thank you for having us here, for seeing us not as inmates but as the athletes we are today," Andry Bolivar, from the Rodeo II Prison in the eastern part of the country, said. He said playing rugby has helped him realize that, thanks to the sport, he will have the chance to reintegrate himself in society once he leaves prison and "expand my horizons." He has also regained, he said, "those values that outside on the street are often forgotten, such as respect, tolerance, humility, perseverance and teamwork." ​​​​​The event called Santa Teresa 7 for the Penitentiary Rugby Tournament's seven-minute games with teams of seven players each, was won by Tocoron Prison in the north-central state of Aragua. "He doesn't have a lawyer," the grandma said, adding that if she had the money "I'd have gotten him out of there," and went on to say that her grandson and his brother "were dragged out of their home" and accused of possessing grenades, though "they had nothing of the sort."